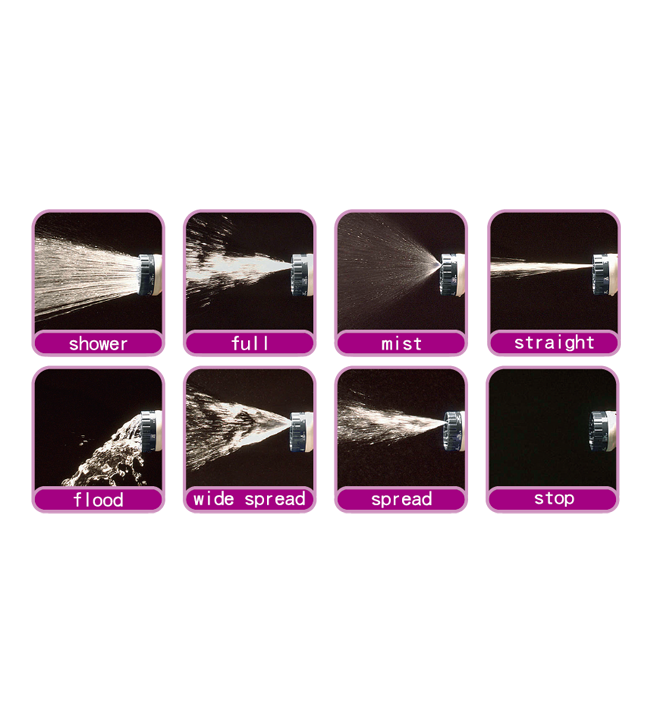 Tangle-free coil hose with 8 pattern nozzle satisfies all your requirements of watering and washing. 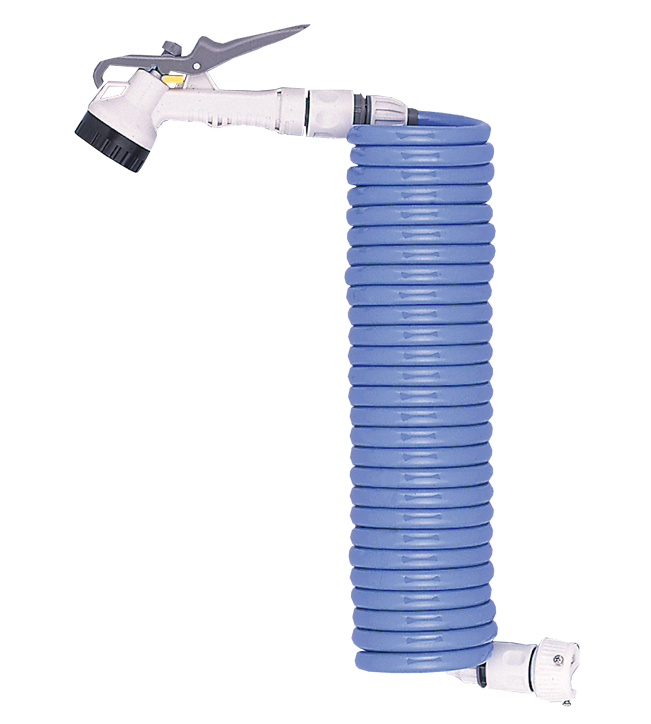 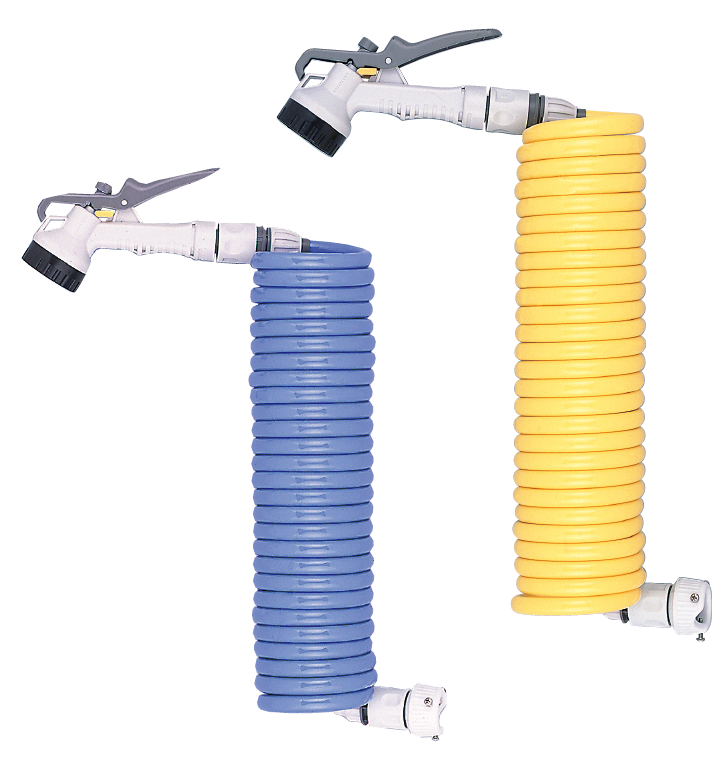 The hose stretches out and retracts into a coil on its' own. 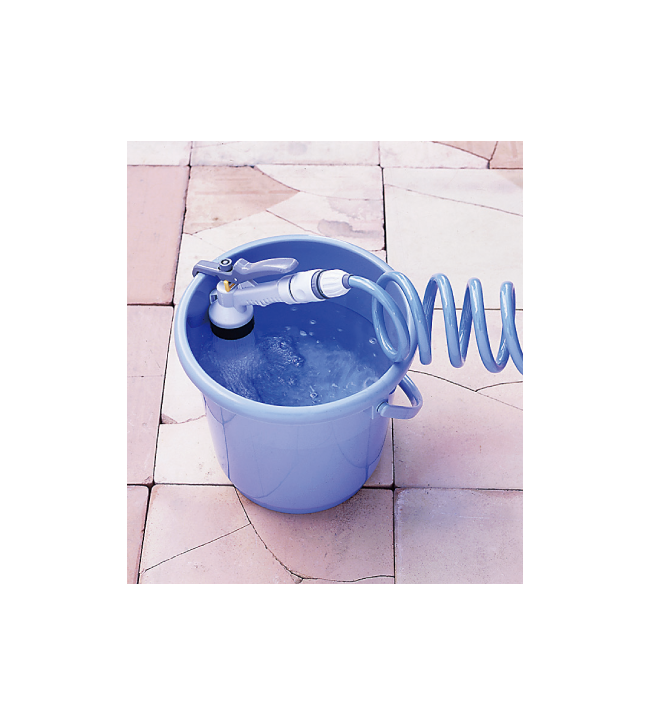 No more fuss of hose rolling.